At around 19:58 CET this evening, five of Gaia’s eight thrusters will be commanded to fire an automated burn lasting almost two hours. It’s a critical manoeuvre meant to bring Gaia onto its planned operational orbit about the L2 Lagrange point (a second, smaller, burn on 14 January will complete the process). In which direction should that push work? Towards the Earth or Sun? Away from both of them? In some other direction? And how strongly? And for how long? And how do you orbit a ‘virtual point’ in space, anyway? It’s not like there’s anything with mass at the L2 Lagrange point pulling Gaia towards it. It’s just a point, 1.5 million km from the Earth opposite the Sun, where the gravity of these two bodies add to balance the centrifugal force acting on a satellite orbiting the Sun at the same period as the Earth. 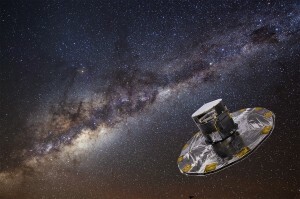 “In terms of the math, we’re pushing Gaia onto what’s known as a ‘stable manifold’ – a pathway in space that will lead the spacecraft onto its science orbit around L2,” says Mathias Lauer, one of the flight dynamics specialists at ESOC working on the Gaia mission. Once in place, Gaia will move in a so-called Lissajous orbit around L2, once every 180 days. The Lissajous name refers to the shape of the path traced out by the orbit as seen from Earth, which will rise then fall above and below the ecliptic plane (the plane of Earth’s orbit around the Sun) while sometimes leading and sometimes lagging the Earth. The final routine Lissajous orbit will be inside a box of 263 000 x 707 000 x 370 000 km. “We’ll have to conduct station-keeping burns about once per month to keep Gaia in orbit, otherwise perturbations would lead it to ‘fall off’ L2,” says Lauer. He explains that, in addition to determining the current Gaia orbit and orientation using data from ESA’s ground tracking stations and from the on-board star trackers, Flight Dynamics plan upcoming manoeuvres and trajectories using a range of software tools, developed and refined over the years in house at ESOC. I asked Mathias how he and his colleagues do their calculations. An important element in flight dynamics work is respecting design constraints presented by the spacecraft, its on-board technology and its scientific mission. Gaia, for example, cannot be allowed to enter into eclipse (into the shadow of the Earth with respect to the Sun) since its thermal balance must be very carefully controlled. The sudden drop in temperature would cause its instruments to cease functioning. Furthermore, the Earth-Gaia-Sun angle can never exceed 15 degrees (so as to maximise the data transmission capability of the on-board antenna). This means that Flight Dynamics must carefully select the amplitude (distance above and below the ecliptic plane) of the Lissajous orbit. “The biggest challenge with Gaia is the design of the manoeuvres,” says Lauer. The team must use advanced optimisation techniques, but even this is not enough. Even to start, the team must make very good educated guesses on certain initial conditions, consider all the constraints and then feed these into the software and see if the results make sense. They often don’t, and that’s where expertise and experience are indispensable for tweaking the assumptions and then starting again. 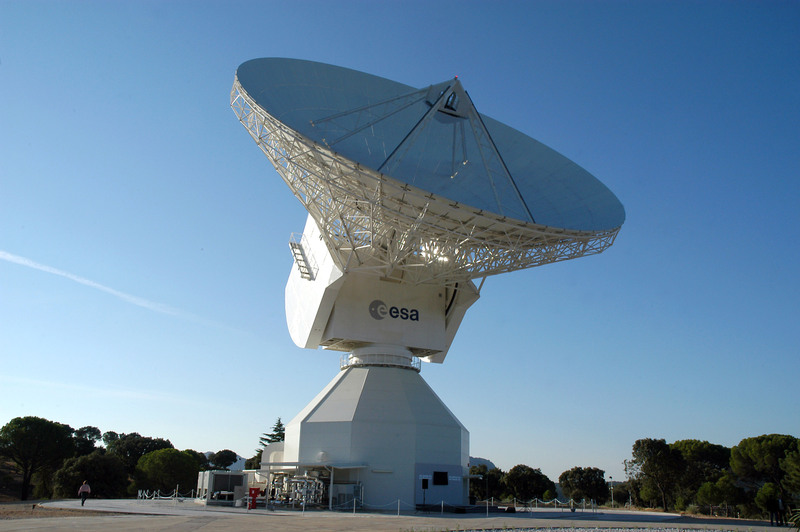 There’s no commercial source for this sort of software or expertise; it’s been built up over many years at ESOC and represents a capability that is rare in the world and unique in Europe. Before tonight’s orbit insertion thruster burn, the ongoing spacecraft commissioning operations will be put on hold to minimise the chance that any system or device on board might trigger a spacecraft ‘safe mode’ – basically a blue screen and reboot. A recovery from safe mode takes time, and the window in which to conduct the insertion burn is only about two days, so if it were to happen today (shutting down the thrusters), it could cause serious problems. Getting into orbit around L2 requires skill and expertise, not only from the Flight Dynamics team but also from the extended ‘team of teams’ that operate Gaia, including the flight control engineers and specialists from ground systems, tracking stations and mission analysis. The Flight Dynamics team delivered their final inputs for tonight’s burn yesterday; the flight control team configured the spacecraft for this important manoeuvre, uplinked the Flight Dynamics command programming and will now carefully monitor the burn’s progress. Yesterday evening, engineers working on the ground control systems and 35m deep-space tracking stations checked and confirmed that everything was ready for the burn. This afternoon, teams will carefully prepare for the burn, working on console in ESOC’s Main Control Room to check spacecraft status, solar conditions and communications, among many other parameters. At 19:20 CET, ESA’s 35m tracking station at Cebreros, Spain, will begin tracking Gaia, and a few minutes later, at 19:35 CET, the spacecraft will slew into the correct orientation for the burn. Precisely at 19:58 CET, the burn gets underway, running for 103 minutes. We’ll update you later on the results! In “The final routine Lissajous orbit will be inside a box of 263 000 x 707 000 x 370 000 km”, could you please tell us which dimension is north-south, east-west, and towards-away from the Earth? At 1.5 million km, a 15 degree angle would seem to restrict the N-S and E-W excursions to 400000 km or less, implying that the 707000 km dimension is in the radial (towards-away) direction. Most of the illustrations also show the E-W dimension being larger than the N-S dimension. Are all those assumptions correct? I’m trying to estimate how quickly GAIA will appear to move against the background stars, to estimate chances of forecasting occultations. Thanks. Ted: Will check with the experts and get back to you. Cheers! Does the GAIA L2 orbit have to consider the moon’s shadow as well? Doug Schiffer asked about the moon shadow to be considered. 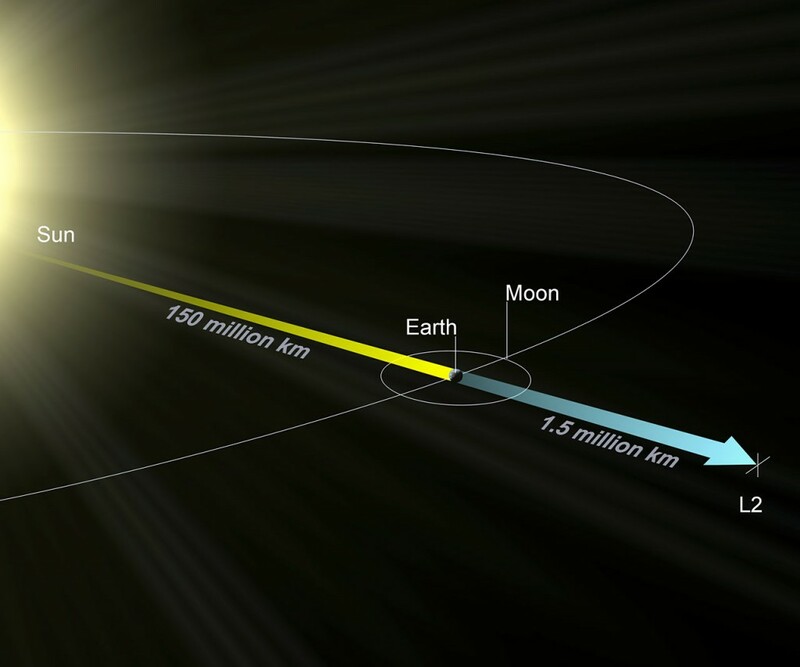 I think, moon is too small to totally obscure the sun in a distance of minimal 1000000 km , as solar eclipses on earth are seldom “full” with only 400000 km distance earth-moon. But I could imagine that our moon influences gravity on GAJA . Question: Did you consider moon’s position and gravity for GAJA’s orbit calculation? Thanks Florian. I understand that the moon only subtends about 12 arc minutes from GAIA’s L2 vantage point, and would obscure a maximum of ~16% of the solar insolation. I was curious if GAIA’s thermal tolerances were tight enough that this would need to be avoided.